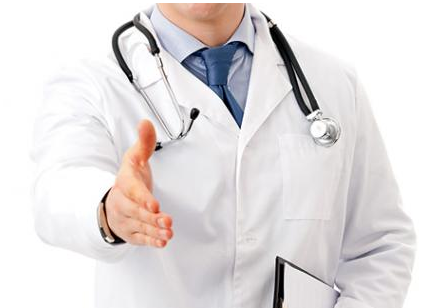 The physician liaison is a job title that is relatively new in the field of healthcare. The word “physician” usually conjures up the image of a doctor in a white coat with a stethoscope around their neck and a clipboard in their hand. Throw the word “liaison” after “physician” and you have a completely new look and meaning. So what is a physician liaison? Tiller-Hewitt Healthcare Strategies, a consulting firm that offers services to health systems, hospitals and providers, states that essentially, the job of a physician liaison relates to collaboration and communication to achieve maximum growth and loyalty of a health system. Physician liaisons focus on communication, retention, and growth of referrals within a health system, usually between a hospital and its physicians. They train, collaborate, and coach staff on continued referral management, develop and manage a “Hospital 101” course, and coordinate hospital and practice referral data. Physician liaisons, most importantly, are the root of communication in any health system between the practitioners and the staff to (1) promote hospital services and (2) identify any barriers. Their goal is to maintain an open line of communication with physicians so that the hospital system can maintain and grow on their patient referral base. Customer service skills are a huge part of the job as well as being a salesperson and a consultant. Hospitals or medical facilities seeking a physician liaison look for someone with an advanced college degree, such as an MBA or a Master’s in Healthcare Administration. Extremely motivated and a self starter. Experiences or educated in a speciality. The role as a physician liaison can be difficult. The primary goal of the job is to make sure everyone within a healthcare system, such as doctors, nurses, and case managers, are all on the same page, and understand that their functions individually have an effect on the overall status of their healthcare institution. The physician liaison is increasing in importance as more and more practices are healthcare systems seek someone to execute these roles.